How are you? Things this week went super good. We were able to meet up with Ana a few times this week and she is as good as they get. We feel so blessed that we were able to find her. This past week she attended stake conference. She is still strong in preparing to be baptized on the 26th. Last night we taught the Plan of Salvation. Every Sunday or weekend, she goes and visits her son in jail. She usually comes back super down and very disseminated.. but yesterday she was smiling and happy after going to the conference. As she went over to the jail and through the scanner, the scanner started to go off because of her HLJ ring and the guards asked her to take it off. She told them that it means a lot to her..... the guards let her through and just told her not to wear it next time. As she was talking to her son, she told him that this was the way to freedom and gave him the ring telling him what it meant. Haz lo justo. She said it was a very tender moment for her as she gave her ring away to her son who recently entered jail 3 months ago. Last night things just kept clicking for her through the lesson and her testimony is growing stronger and stronger as we explain things that she has never heard before. Every time we go to her house we just leave feeling so good, with a new love for the mission and the people. As we help her grow, she has no idea what she is doing for us. We have grown tons just from visiting her and seeing some of the troubles that she faces and her determination to learn, change and continue smiling. Definitely the highlight of the week in the work. p.s. We took Ana a new ring because she asked for another, she said she felt naked without it.. golden right? Stake Conference went super good. We heard from President Guarteche (stake pres), some people with testimonies about reactivating in the church, President and Hermana Ventura (Temple Pres and wife), President and Hermana Smith, and Elder Svec and his wife.. he is a member of the area 70 I believe. The conference went super good and Ana listened very closely to the messages. Two of the messages that I would like to share with you guys. 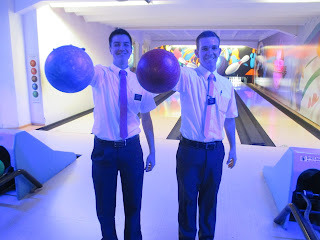 One comes from Hermana Ventura.. she talked about baptism and how it is only valid if we go completely under the water, she likened it to missionary work and the work of salvation all together.. we must completely immerse ourselves in the work for it to be valid. May you all do what is need to immerse yourselves in the work of salvation. The other comes from President Smith.. it is another analogy. He talked about how when he was 5 years old, he was playing with his friend and they went into the backyard and played and played for around 4 hours. He was having a blast but his worried parents were frantically looking for him.. he had no idea but when his parents found him, they stressed how worried they were.. he likened this to the house of Israel.. we have many of our friends lost.. they don´t even know that they are lost, because they don't know that they are part of the house of Israel. Why are we not frantically looking for them? I invite you to begin worrying for those who are lost as if they were your own kids.. let's gather the house of Israel together! I love you guys. I know that Christ and Heavenly Father love you all soo much. I hope that you are able to enjoy this week. Share the Gospel and you will be blessed. Have a wonderful week! 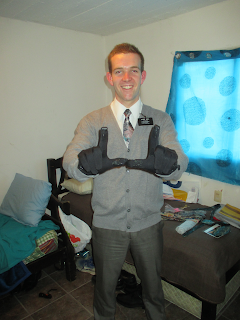 Love, Elder Taylor Abel a proud son, brother and missionary.. a missionary who loves his family with all his heart. "Go UTES" all the way from Uruguay! Bowling today with the zone! Super fun!